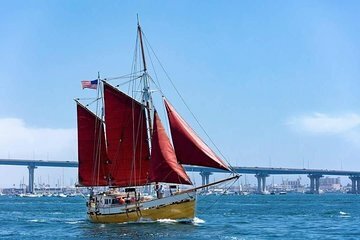 Set sail on San Diego Bay with this San Diego sightseeing cruise. Catch sight of San Diego attractions like Coronado Island, Point Loma, and the downtown skyline as you cruise across the bay. You can relax on board, too, enjoying included snacks or bringing your own beverages to keep you refreshed while you sail.